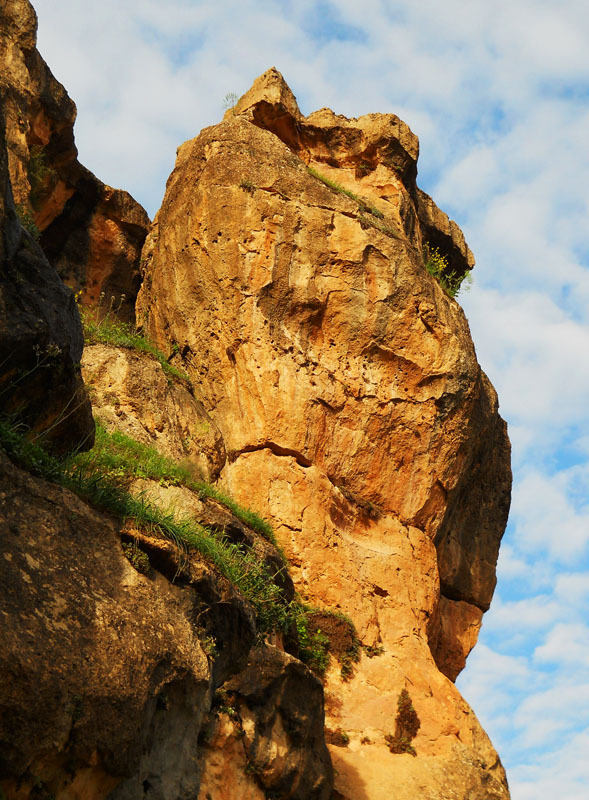 With its steep rocky walls and rich riparian habitat, Hasankeyf welcomes many types of birds. The distinctive call of the garishly colored hüthüt (known as a hoopoe in English) echoes through the canyons above town, while white storks can be seen nesting atop the minaret of the Rızk Camii. But like so much else in the area, Hasankeyf’s bird diversity and “irreplaceable habitats for wildlife” are threatened by the building of Ilısu and other large dams, according to a report by Professor Murat Biricik and Assistant Professor Recep Karakaş, both of Dicle University in Diyarbakır. Published earlier this year in Natural Areas Journal, their paper, “Birds of Hasankeyf (South-Eastern Anatolia, Turkey) Under the Threat of a Big Dam Project,” details sightings of 133 bird species in the Hasankeyf area, including five globally and 25 regionally threatened species – as well as 21 different diurnal (daytime) raptors, more than half of all those found anywhere in Turkey. One of the birds the researchers identified in Hasankeyf, the Bonelli’s eagle, has already been forced to abandon its nesting area near Halfeti on the banks of the Euphrates River due to rising waters behind the Birecik Dam. If the Tigris River Valley is likewise flooded, the lesser kestrel may be able to continue breeding high up in the rock walls beneath Hasankeyf’s castle, but the pied kingfisher, one of the most endangered riparian bird species in Turkey, will not be so lucky: “Nest places on the steep soil slopes adjacent to the rivers will be destroyed by the construction of dams or by the following alteration of river banks,” Biricik and Karakaş write. If you want to encounter Hasankeyf’s avian life while you still can, bird-watching is at its best in May and April, when the researchers found species richness to be at its highest level. Great numbers of individual birds (though fewer types) can also be seen in November. Jennifer, Thanks for the report on Hasankeyf's endangered birds. It's hard to understand why, for short term gain, it's worth sacrificing such irreplaceable natural wealth. 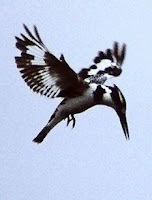 We hope we get to see the pied kingfisher sometime soon but we also hope they will be around for a long, long time to come.